Matchroom Boxing returns to the United States for another big boxing card, including a title fight featuring one of the sport’s top female fighters. Claressa Shields will defend her WBA and IBF women’s middleweight titles against former world title challenger Hannah Rankin with the vacant WBC title also on the line. Shields was originally supposed to fight fellow WBC and WBO champion Christina Hammer in a bout that would crown the sport’s next undisputed champion and second active women’s champion to hold all four major belts. With Hammer being medically unfit to fight until 2019, Shields had to settle for a title defense against Rankin. 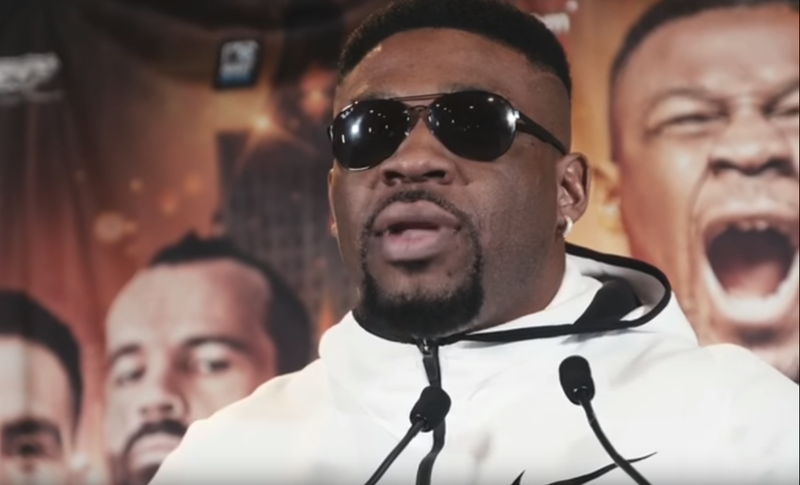 In the main event, Jarrell Miller will continue down his path to a world heavyweight title opportunity and a fight against either Anthony Joshua or Deontay Wilder. Miller will face off against fellow unbeaten heavyweight Bogdan Dinu, who is taking a major step up in competition compared to his previous fights. Dinu could play spoiler with a victory and create chaos within the top of the heavyweight division. FIGHT SPORTS will provide live, round-by-round coverage of Shields vs. Rankin and Miller vs. Dinu. Round 1: Rankin throws a couple of jabs as Shields patiently awaits a chance to attack. Shields lands a pair of right hooks that land on Rankin’s chin. Shields throws a couple of quick left jabs. Rankin lands a counter left hand, then blocks a right hand from Shields. Round 2: Rankin lands a quick left hook followed by a right hook from Shields. Shields throws more jabs, then a right hook to the body. Shields fires off three straight left jabs, the last of which land square on Rankin’s face. Round 3: Shields continues to attack well with the jab, but there’s an accidental clash of heads early in the round. Shields throws a series of punches, but Rankin responds by throwing numerous body shots. The two fighters trade punches, but neither woman got hurt in those exchanges. Round 4: Shields lands several hooks upstairs as the two boxers start fighting rough. The two fighters land simultaneous jabs, but Shields doubles up on the jab. Shields lands a counter right hand that lands flush on Rankin. Shields throws three straight hooks, but Hankin manages to get an uppercut on Shields. Round 5: Shields is still having little trouble connecting with the jab. Shields misses an uppercut, but lands a three-punch combo on Rankin. Shields lands a right hook on Rankin’s body. Shields ends the round with a flurry of punches. Round 6: Shields’ left jab looks more explosive at the start of the round. Rankin lands a right hand, followed by a left hook that connects. Shields gets a left hook in, but Rankin is still coming forward. Shields lands a right hand that appears to have staggered Rankin. Round 7: The round starts off well with the two boxers landing several punches to the chin. Shields connects with the 1-2 upstairs. Shields lands a left hook to Rankin’s ribs. Rankin throws a combination of punches, but Shields does a good job defending against it. Round 8: Rankin hits a 1-2 to Shields’ head and the champion answers back with a right jab. Shields lands a big jab and then right uppercut to the body. Shields lands a left jab and avoids getting hit with a counter right hand from Rankin. Shields lands a short left hook upstairs. Round 9: Shields lands a quick left jab, but Rankin responds with a right-hand punch. Shields lands two quick left jabs that split Rankin’s guard. Another accidental clash of heads takes place, but neither fighter is hurt. Shields ends the round with a big flurry of punches that nearly dropped Rankin. Round 10: Shields lands a quick left jab to start the final round. Shields goes to the ropes, but avoids most of Rankin’s punches. Shields land a series of hooks upstairs that momentarily hurt Rankin. Rankin was able to hand in there until the end of the round. Round 1: Dinu lands a pair of left jabs and Miller responds with two jabs of his own. Miller starts walking Dinu down and throws a couple of hooks. Dinu throws a combination of punches that land on Miller’s face. Miller tries to attack the body, barely landing a jab to Dinu’s ribs. Dinu lands two hooks to Miller’s ribs. Miller gets a right hook in on Dinu’s body. Miller throws a pair of overhand rights at the end of the round, but Dinu stuns Miller with a straight right hand as the round ended. Round 2: Dinu lands another right hand on Miller’s jaw. Dinu continues to land several jabs, but Miller was able to get his shots in. Miller is moving forward as Dinu throws a jab or two and then move around the ring. Miller throws a right hand to Dinu’s chest. Dinu throws four straight left jabs as Miller could only defend. Round 3: Miller is moving forward once more and pressuring Dinu. Miller is looking to limit Dinu’s mobility while Dinu is trying to stick to the ropes. Miller lands a solid left hook to the body. Miller then connects with two hooks to the body. Miller continues with the body shots as he manages to trap Dinu to the ropes. Miller throws a combination with one punch hitting Dinu down low.